Goals are exciting! Yet many people struggle to design effective goals and put them into action. As we close 2015 and look ahead to 2016, many of us will start to think of goals and changes to make in the new year. As you review 2015 and look ahead to the new year, use this article as a planning resource. As you go through the goal setting process, you will find that your are creating a mix of habit and outcome goals. Both have their place. Let’s explore when to use each goal type. Habits have recently attracted a lot of attention from authors and researchers. Why? Simply put, there are many aspects of life that are best improved with habits. Health is a classic example. If you exercise a few times per week, it is easier to manage than catching up on the weekend. In cases of self-care, sustaining important relationships and values, habit goals are a good fit. Write down 1-3 most important tasks to accomplish each day (a practice I learned from the 5 Minute Journal) before leaving home. Complete 100 pushups each morning before breakfast to sustain basic fitness. Send one staff recognition note to someone at my company each week to sustain and build relationships. Make 20-40 sales calls every day (a habit that Hal Elrod used to achieve success during his sales career at Cutco). Write a 5:15 report every Friday to make a record of my success and challenges at work. How long does it make to make a habit automatic? It varies by person. The research estimates I read suggest sixty days are needed to develop six weeks is a reasonable guideline. When it comes to developing habits, I suggest starting small. To get started small, I recommend using the Tiny Habits program created by Stanford researcher BJ Fogg. Outcomes are traditional “finish line” goals that most of us are familiar with from previous studies or working in organizations. A classic example is finishing a race. In business, most organizations set revenue or profit outcome goals (e.g. “Achieve $100,000 sales revenue by December 1, 2016”). In this section, I will outline the anatomy of a well written outcome goal. Let’s look at three examples. These goals can also be connected to a larger mission. Goal 2 may relate to your department’s vision to be a well managed business. Goal 3 connects to a vision of becoming an organized and highly productive person. Goal 1 fits well with a vision of career advancement, getting promoted and getting paid more. Each of the above goals has a few key parts. Let’s go through each part in turn. Start with an action verb. A well written goal starts with an action verb. Why? It puts the emphasis on action rather than contemplation. Add measurements (preferably quantitative). Numbers are a valuable way to measure progress and completion. Many business goals ultimately have a financial aspect that connects to revenue or cost. Using percentage measurements or frequency (e.g. three times per week) are other ways to add measurement to your goal. End the goal with a deadline. Without a deadline, you lose a sense of urgency and focus on the goal. Think of the deadline as a finish line in a race. Would you want to sign up for a marathon if there was no finishing line in place? As you start the process of developing goals for the new year, consider adding a mix of habit and outcome goals. Throughout this article, I have referred to business and non-business goals (e.g. health and relationships). While this website is focused on business and careers, other aspects of life matter and they deserve to be included in your annual goals. Most large organizations go through an annual goal setting activity for their staff. There is nothing wrong with this process. Yet, these goals are sometimes lacking in motivational power because the individual has limited input in them. If that situation sounds familiar, don’t worry – you are not alone. The solution is to develop your own goals that excite you. Some of those goals (e.g. PMP certification and/or sales revenue) may be relevant to your company. In those cases, ask yourself what aspect of the goal motivates you the most. 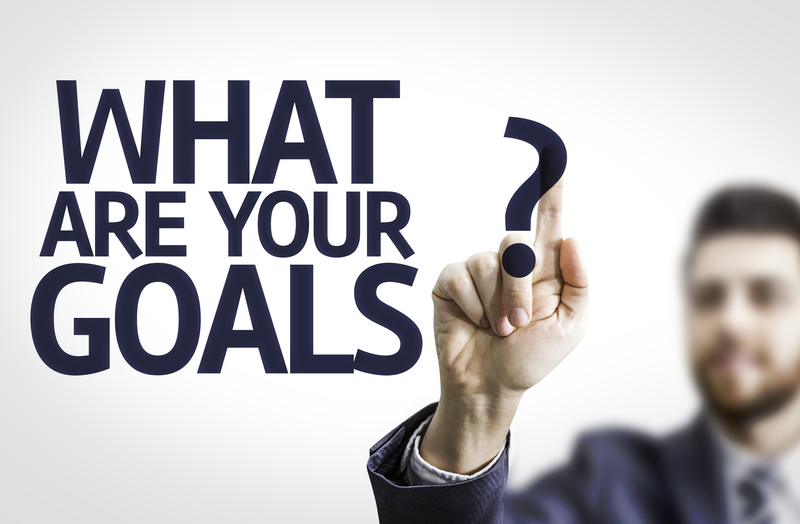 Goals are an important area of business and personasl success. Given that reality, there are many great resources on the market to help you improve your goals. Here are some of the books, programs and materials I have used to refine my thinking on goals over the years. 5 Days To Your Best Year Ever Course. Bar none, this is the best annual goal setting program I have used. I bought the course in Dec 2014 and Dec 2015. Thousands of people have completed the course so you will be in good hands. I recommend signing up for the VIP program for added insights and advice to keep you growing during the year. Goals by Zig Ziglar. A classic audio program that gives you added motivation. I have listened to this program several times while going for a run. Zig’s speaking style took some time to get used to and I’m glad I stayed around. Coach.me App. This app is a great resource for habit tracking and development and it is one that I have used regularly. I like the ability to set reminders and choose how many days per week you want to observe a given habit. For additional support, you can also sign up for courses and coaching advice. The Power of Habit: Why We Do What We Do in Life and Business by Charles Duhigg. Duhigg presents stories and research to help us understand the power of habits. He shows the structure of a habit and how we can design habits on our own. The book also shows how many companies and marketing messages strive to create habits. Productivity Tips, Resources & Hacks Delivered Every Friday! Want to get a better job? Yes, I Want To Grow My Career And Income! ©2019 Project Management Hacks. Powered by the Get Noticed! Theme.